While it is still a work in progress, Dead Sea Cosmetics can offer wholesale options for products that are sold individually. 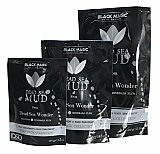 All of your favorite brands are available; AHAVA, Black Magic, Black Pearl, Health & Beauty, Sea Queen, Amour, Aroma, Global Mineral, Sea of Spa, Moroccan Spa, and Kamedis. Finding products that are guaranteed to rejuvenate and replenish your skin is difficult when the chemicals are unknown. For Dead Sea Cosmetics, it is always guaranteed that products contain Dead Sea water, as well as muds, minerals, and vitamins directly from the body of water. Your skin will look more radiant after every use.